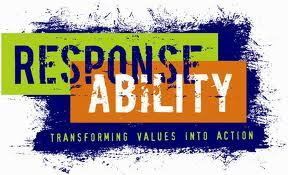 Taking 100% responsibility means you control your life. You, no one and nothing else. In an earlier post, I talked about setting goals to help you live the life you have imagined for yourself. In order to reach those goals, it is necessary to take 100% responsibility for the events in your life. Let’s say you’re a business owner and an employee makes a mistake. In the past your reaction may have been to become irritated at the employee. But what does that accomplish or change? Not much. It’s much more effective to identify the role you played and take responsibility. As important as it is to take personal responsibility when something goes wrong – it is just as important to take personal responsibility when something goes right. When someone compliments you on a job well done, a simple ‘thank you’ is a wonderful way to take personal responsibility in that situation. Stop getting irritated or frustrated at people or situations in your life. Try taking 100% responsibility and you will find your life and the people in it are incredibly awesome and perfect!